Liverpool Book Art Exhibition, celebrating the 200th anniversary of Mary Shelley’s Frankenstein / Running until 9 August. I’ll state my concept for this project below. Frankenstein’s ambitious action reminded me genetic manipulation in our time. In other words, he stepped into a forbidden area beyond the power of human-being. The idea let me imagine the story of Pandora’s box. I found that there’s some similarity between the two in the point they opened a forbidden box. This is how the creature was created by Frankenstein and the reason why I applied box format in this project as well. 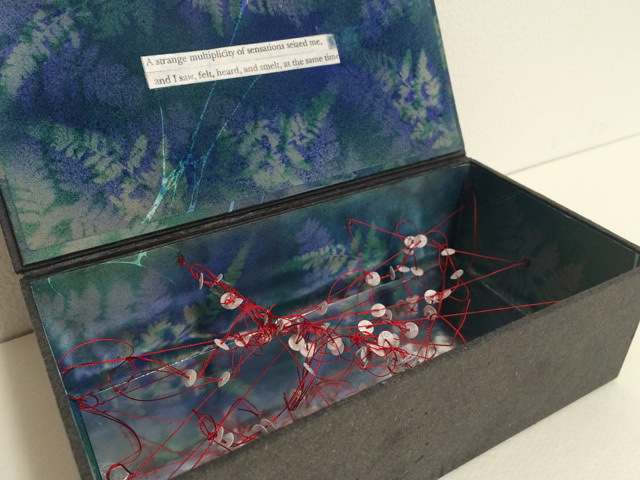 The box itself represents woods where the monster was born. He awoke as a man-made creature in this place. The tequnique I useed for the cover paper was spattering with leaves and Japanese pigments. I think that the decorative one made in the layers of printed plants was effecitive in the use to create the atomosphere surrounded by woods. 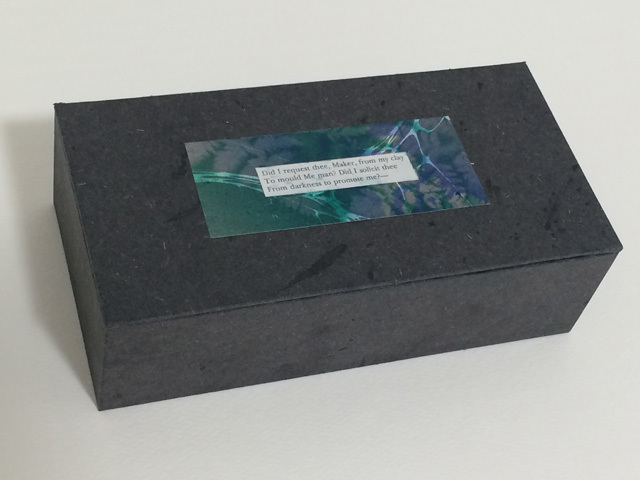 A mirror in the box represents water or something to reflect. When the creature saw his figure reflecting in a stream, he found it was himself. Text drops have metaphorical meanings such as the creature’s words, moreover his cells. Those drops are linked together by red thread which is a metapher as his blood or nerve. What I tried to express inside the box was the state of the monster’s consciousness. This is how I interpreted the story and reconstructed it as a book object. 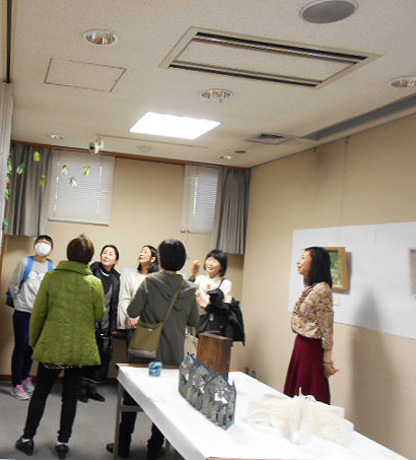 Here is the slide show of Workshop and Exhibition for Papercutting at Asagaya Library. Enjoy! 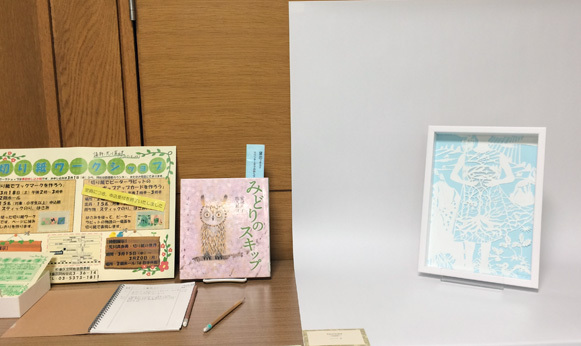 Through my experience of an exhibition for papercutting at library, I found that the place has a great potential to introduce book art to people. In this essay, I will state what brought me to that point and how I showed my work there. I will also report two days papercutting workshops I delivered there. 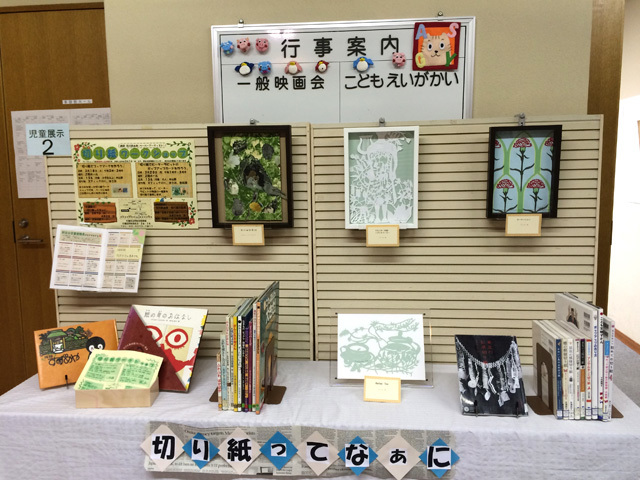 I had an exhibition for papercutting at Asagaya Library, one of public ones in Tokyo, Japan. 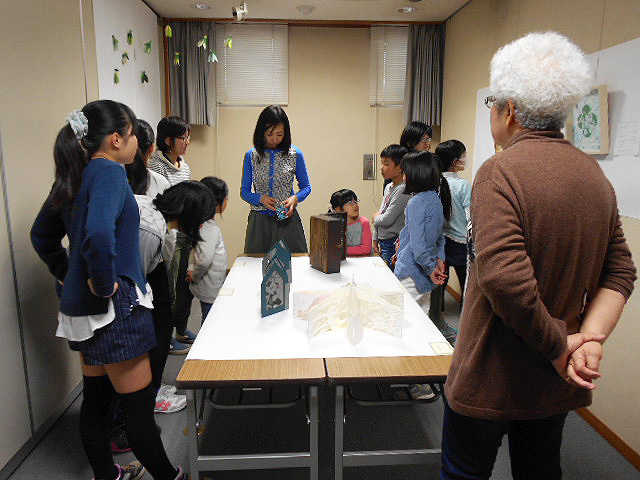 This exhibition planned by the library was held from 15th to 20th March in 2017 and showed both papercutting and artist’s book. 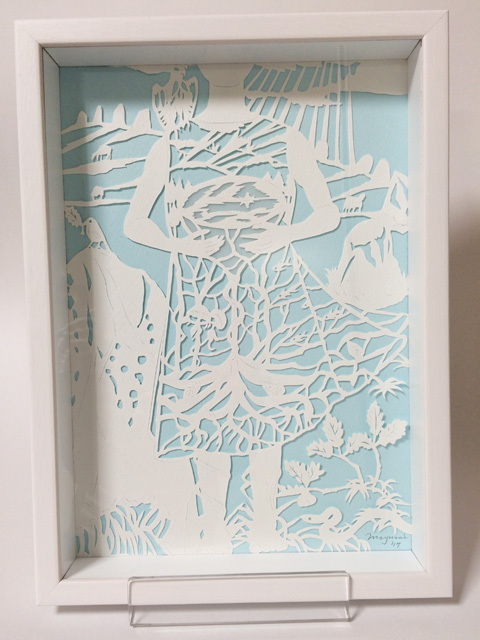 The aim of the show was to showcase the art of papercutting to the local people alongside running a feature on books of papercutting for four weeks. One of the reasons why I felt that library is a suitable place to show books as art objects to people is simply because of art related to books. 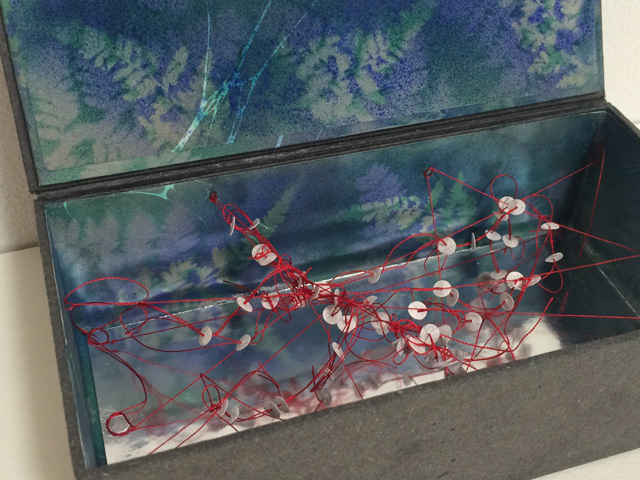 Some artists work with paper and the book format and I am the one, either. In terms of the definition of what book art is, there are a variety of ways for thinking of and presenting the book work depending on artists. There are books called ‘altered book’ and ‘object book’. In some books, you might not see any texts at all and even the structure has no book format. Some are, rather, made exploring their sculptural possibilities. The books may contain prints, paintings and collages for the support materials. 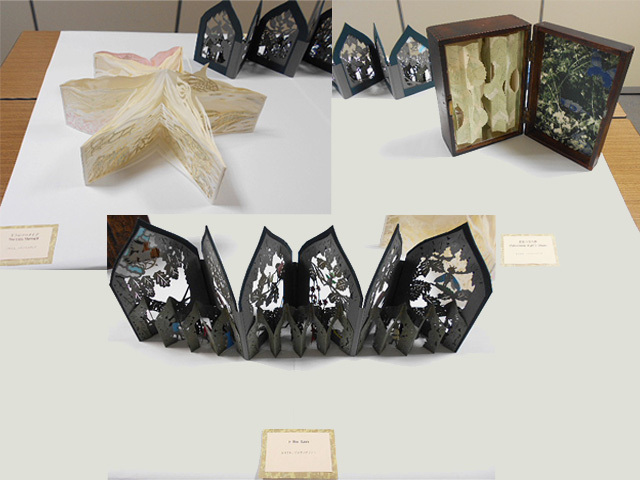 As for me, book art is the art in book format created by interpreting and exploring the medium in our own way. Personally, I still like an idea of personal connections with books, because it creates an intimate space between a book and the reader. When we open the pages, the written images suddenly appear in our heads and then we will start our journeys to other worlds. My creations literally pop up in front of the audience in that way. This is why I have work with paper in the book format over years. Literature has been a rich source for many artists. Some of my exhibited works drew those inspiration from the texts. Therefore, one of what I did in the show was putting my art book and the related original book together for the display, so that the audience could understand how I interpreted the story and what came out from as a result of that, when they see the work. Furthermore, they might be able to open-up their eyes to a new way of enjoying books. The fact is this was proved in the gallery talks with the audience. I realized how important telling about my ideas behind the work is to the viewer. If my art books give them a chance to read the original story, that’d be wonderful and it is worth while showing the book work at library. During the show, I delivered two days papercutting workshops for people in a wide range of ages. 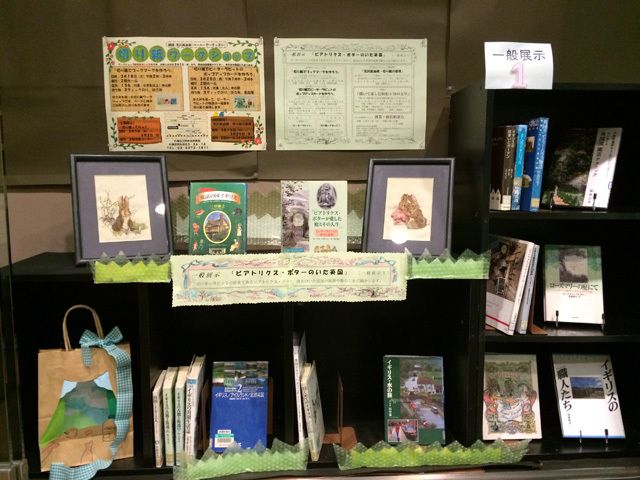 What the library did for the display of its book shelves for nearly a month was a special feature on books of not only Peter Rabbit and Beatrix Potter, but also the landscapes and culture of England she lived, as well as books of papercutting. Therefore, the workshops were constructed taking into considerations on the subjects, such as above. The activities were to offer an opportunity of papercut techniques. Some of my papercutting were also displayed on the each shelf with featured all those books. What’s remarkable during the workshops for papercutting is the silence. When people start to cut a sheet of paper with scissors, the silent comes soon and stay long with both adults and children. I had the same experience many times in my workshops, not only in Japan but also in UK. In my opinion, people might find peace through the activity of cutting paper with scissors and could be taken into a sort of meditation. The smallest participant this time was 7 and the oldest one was in her 80’s. They worked together in a warm and vital atmosphere filled with joy. I was happy to see that they stimulated each other and learned something new from what they were doing. This is one of positive aspects to work with others in the workshop. You never get the sort of experience as long as working alone. I like to see a moment their creativity starts to spark. It never ceases to amaze me how colours make difference in their creation. Even they use the same paper pattern for a cut, the combination of colours by the individual selection makes a big difference. This is one of enjoyable aspects for papercutting. Many good feedbacks through this experience encouraged and assured me the possibilities of library as a place to show book art to people. It might have been the first small step, but I believe that it was a firm one. I also found that many people have never seen even the art of papercutting, I heard that a girl in my workshop came back to the library the other day and said to her friends how fun the workshop was, then eagerly explained about my work showing them my papercutting. I was very pleased to hear that story. 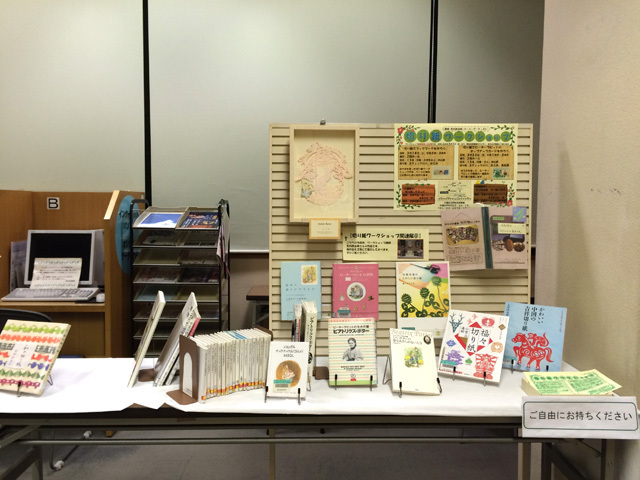 So the paperscissorsbook that I took participated in last year in the north of England is still ongoing here in Japan. Why don’t you try a papercut with scissors? Simply just for a fun. 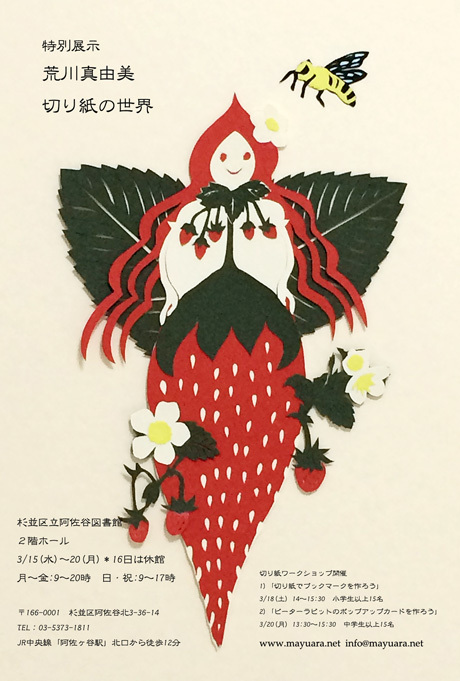 スライドショーはこちら。Click here for a slide show of Workshop and Exbition for Papercutting.